You’re heading to Ocean Isle Beach, you’ve got your room reserved at the Islander Inn and you look at your suitcase with confusion, this is no way to begin a vacation! The Islander Inn is happy to help you gather your essentials for vacation in the sun. What’s your main luggage? Is it a duffel bag or one of those rolling suitcases? Make sure that the luggage you choose is not too heavy and it’s easy to pack into the vehicle. If you’re going with the rolling suitcase option, we recommend that you get something with four wheels, it’s easier to transport it around the hotel during your OIB vacation. Get organized! Make a list of everything that you want to pack into your luggage; right down to the tube of toothpaste. Are you the type of person that just throws their clothes into their luggage and then sits on the top of it to zip it shut? Put your clothes based on outfit in appropriate compartments, roll your pants or shorts into the shape of a jelly roll; it saves space! IF you really need to pack a lot of stuff, trying using space saving bags. The key is to pack smart, you will be happy that you did! The toiletries. The Islander Inn provides the soap and shampoo that you need for your vacation, but we understand if you’d like to bring your own. Make sure that you have a bag dedicated to your toiletries, that way nothing spills inside your luggage and ruins your clothes. We recommend making a check list of toiletries that you will need for your OIB vacation; even the cotton swab. Think about what you use to get ready for the day, what you use at night before bed, etc. Visit islanderinn.com or call 1.888.325.4753 to ask about what toiletries we offer. Beach Supplies. Don’t disappoint the kids by not having the shovel and pail ready when you arrive at the Islander Inn! The kids are going to want to head right to the strand to start digging the moat for the sandcastle; nothing would upset them more if you have drive to the store to purchase these items! 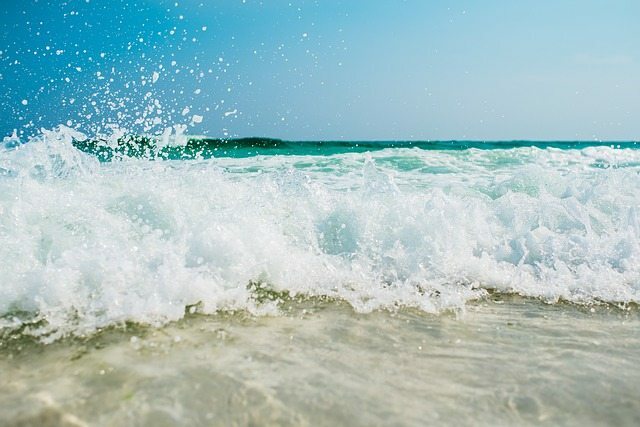 Be sure to pack your sun tan lotion, sun block, bathing suits, towels, googles, floaties, etc so you can check into your room and then book it to the sand! It’s also handy to have a tide table or tide chart and be sure to check about the risk of possible rip currents during your stay. Money. Don’t leave the house without your credit cards and cash! Make sure to notify your banking institution about your travel plans so they don’t cancel your cards thinking theres fraud being charged to your cards. A budget also ties into this category, make sure you do your best to stay on your budget that way you’re not paying for your vacation years later. Thinking of heading to Ocean Isle Beach for your summer vacation? The Islander Inn would love to have you as our guest! Give us a call at 1.888.325.4753 or visit our booking system to reserve your room today! See you soon!